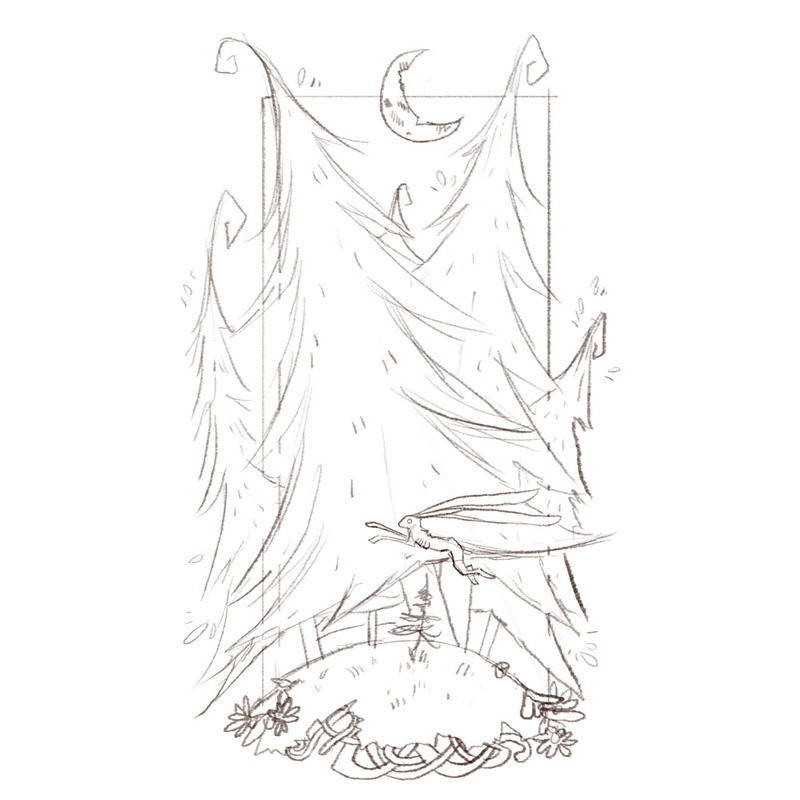 This illustration is based off the wonderful folktale by Hans Christian Andersen called, The Fir Tree. The two paragraphs below served as the basis for my illustration. “Far away in the forest, where the warm sun and the fresh air made a sweet resting place, grew a pretty little fir tree. The situation was all that could be desired; and yet the tree was not happy, it wished so much to be like its tall companions, the pines and firs which grew around it. For this illustration I already had a pretty clear idea about how the drawing would look, so this sketch is pretty clear, just loose lines still. I used the same textured pencil brush I used for the sketch, but made sure this pass was more clear and precise. I added a paper texture background and changed the color of the line work to a dark red. I actually experimented a lot with color for this piece. I originally had it more green and orange, then tried some blues…and ultimately arrived here. A strong red/pink color throughout with blue and white accents. Sometimes trees don’t always have to be green! The final image, with white outlines to help certain elements stand out.